USDA has reported that honeybees are down 4 percent for 2017, which set off another flurry of Beepocalypse claims by corporate journalists who desperately want to believe that modern science is killing us. What gets left out of the story is that the 4 percent is down from a 22 year high. There is no Beepocalypse, no Colony Collapse Disorder, no anything. It is just a statistical blip, as has happened in bees since even casual record-keeping began over a thousand years ago. Yet for over a decade we’ve been bombarded by apocalyptic tales of collapsing bee populations and the world starvation that will result, because bees are “responsible for one-third of everything we eat.” They aren't. The dire warning that “bees are dying at an appalling rate” was repeated so often it was soon turned into a hilarious meme by social media satirists who assume that if environmental reporters universally believe something to be true, it must be a crock.They're right again. Despite the claims of environmentalists, honeybee populations have been rising globally since people started keeping track in the 1960s. Ignoring that data, doomsday prophets have instead framed regional variations, largely due the economics of honey and the global spread of the nasty Varroa parasite in the 1980s, as a crisis. Yet since 1995 honeybee colonies have been increasing on every habitable continent in the world. The 1995 date is important because that is when neonicotinoid pesticides first came on the market. At the time, “neonics” were considered a great thing, both for farmers and the environment, as they are harmless to everything except the pests we want them to kill and are often applied as a seed treatment, which requires a tiny fraction of the quantity, and much less labor, than the older broadly sprayed pesticides they replaced. Not surprisingly, this made them massively popular with farmers, which made them a prime target of the environmental lobby, who blamed neonics for a fictitious decline and was soon able to get the pesticides banned in the EU in order to stave off that catastrophe. We know many reporters (and almost all environmental journalists) don’t bother to check their facts, let alone their sources, but how could EU regulators make a decision costing their constituents billions of dollars? European regulators had access to data that showed banning a critical agricultural tool on the basis of a fake decline in bee populations was a terrible idea. Here’s the URL for the EU's bee stats, it’s not that hard to find: http://faostat3.fao.org/download/Q/QA/E. The answer is that unlike the US, which allows products to be proved safe, EU regulations are based on the “precautionary principal.” According to the EU’s official definition, this principle “enables decision-makers to adopt precautionary measures when scientific evidence about a serious environmental or human health hazard is uncertain." That means it is just politics. If environmentalists really want them to ban something, it can be rationalized despite the science showing it's worse for the environment. 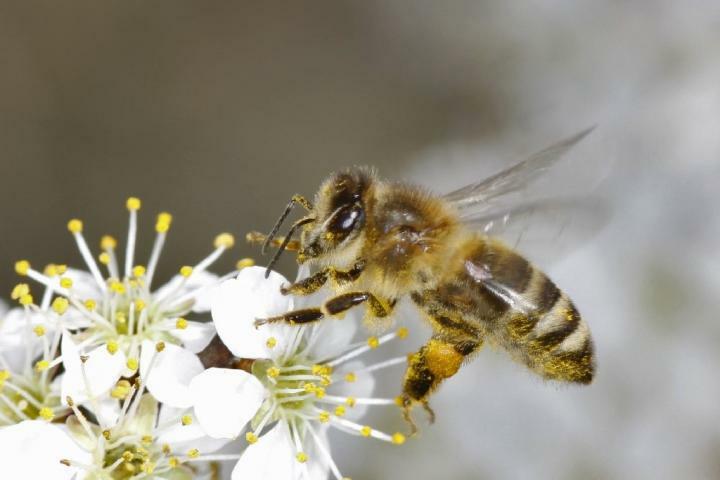 The Eurocrat “decision makers” now claim that they never based the ban on honeybee declines and they have wiped the numerous official documents stating otherwise from EU websites hoping no one will remember. Likewise, the thousands of reporters and editors who bought into the counter-factual “bee-pocalypse” narrative, like Bryan Walsh, author of the infamous Time cover story titled “A World Without Bees,” have never bothered to explain their astounding lack of critical thinking or even competence. Instead, many have just moved onto other fictitious environmental scares. But they generally can’t resist boosting every reported seasonal or temporary decline in bee numbers to try to rev up that ol’ time hysteria again. As Jon Entine of Genetic Literacy Project recently revealed in an extensive analysis of the BIP, the annual bee loss survey (which is basically a voluntary poll of beekeepers) massively inflates annual loss numbers and is so laughably flawed in general that it would probably be rejected as clickbait by the Daily Mail. Worse, however, is the clear intent of it’s authors to stoke environmentalist fears. But while some bees die, a lot of new bees hatch every year too. A really prolific queen can lay up to a million eggs in a lifetime. Adding up overwinter and summer losses, as BIP recently started doing, is a little like adding up losses in the stock market over the last year and not mentioning that overall the market was up. Most environmental reporters, many of whom claim to have gone to “journalism school,” apparently don’t get this. One can imagine if all those who touted the bee-pocalypse had been assigned to cover the financial markets on February 5th, when the Dow suffered its worst point drop in history – 1600 points at session lows. Clearly, it was a stock-ocalypse! Stocks are going extinct! Soon we’re going to be completely out of money. How will we buy the little food left on our shelves after all the bees die? Of course, it was a bad day, but in percentage terms the drop was only about 4.6% and the market has already made up much of the territory it lost. Which brings us to the USDA’s just released annual survey of honeybee hives. Unlike BIP, the USDA survey doesn’t focus just on the loss side of the equation , but tries to gage the overall number of bee colonies from year to year. This year, those numbers are down 4%, but that was because the previous year’s numbers were so high, the highest in fact in 23 years. 2017’s 2.67 million hives is still the fourth highest in all that time. So another year and yet again we’ve managed to stave off the “bee-pocalypse” – at least until this spring when the BIP report comes out and we can all start worrying again.